Although turbos and massive GT Wings are the 'thing' that muscle up a car, the fundamentals of maintaining ride quality, drivability and dynamics of handling lie in a less obvious area. The suspension. You can have all the power in the world but experts will tell you that what distinguishes the good from that bad is the way it drives. 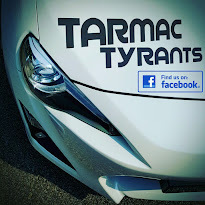 Having experienced being in a GT86 with the HKS Hipermax IV GT in Japan, I was further convinced that reasonably good handling can be achieved on a daily street car without compromising on ride quality with a harshness like that from track/racing set-ups. And with the long awaited arrival of my Hipermax IV GT, I was set to improve the dynamics of my Lexus. While the foundation of the GS was based on the selectable comfort/sport coil-overs from KYB, the HKS Hipermax provided a 30-step damping selection and height adjustments. I'm not saying the stock KYBs were bad, they were great as a stock set-up but the ride height was much in excess that one may mistake the GS for a flatter 'Hummer'. Okay, that was a little over the top but you get the idea. First impressions on the street and I must say that the standard spring rates on the Hipermax IV GT were pretty spot on and even with the damping set at 30 steps (the stiffest), you get a firm feel over bumps but not sacrificing much of ride quality. Quite frankly, I do not even think your Mrs will notice much difference from the stock 'Sports' mode while cruising. But if she is more than just the 'average' supermarket super mum then that's a different story. Some mums do track these days and I love that! Nevertheless, HKS managed to shift that fine 'line' between performance and comfort pretty well towards the sportier region. How did the Hipermax IV GT perform? Well, having driven with it for a week, it was worth noting that the on-board Traction Control (TRC) and Vehicle Dynamic Control (VDC) on the GS did not "kick in" as much compared to the stock set-up. The distribution of torque on the rear wheels seemed to be better with less occasional loss of traction. So I experienced less VDC/TRC lamp flicker on the instrument panel. Accelerations seemed more brisk and effortless, making the heavy GS seem firmly 'stuck' to the tarmac on full throttle. This was especially so when negotiating a perpendicular turn at a junction from stand-still at full throttle, a testimony to better traction. At high speed, the GS still bounces a little at a low frequency with reasonable amplitude but don't let that fear you. Braking was improved and more controlled with less drop in the chassis due to the lowered configuration and reduced suspension travel. This was especially so for high speed braking as the steering points better to the front. However, as for all long wheelbase rear wheel drive cars, the issue of under-steer needs to be further addressed. Perhaps a little more tweaking and I may get it better tuned. I'm still messing around with the damping rates but thus far the car feels very neutral when fronts and rears were at the stiffest setting. 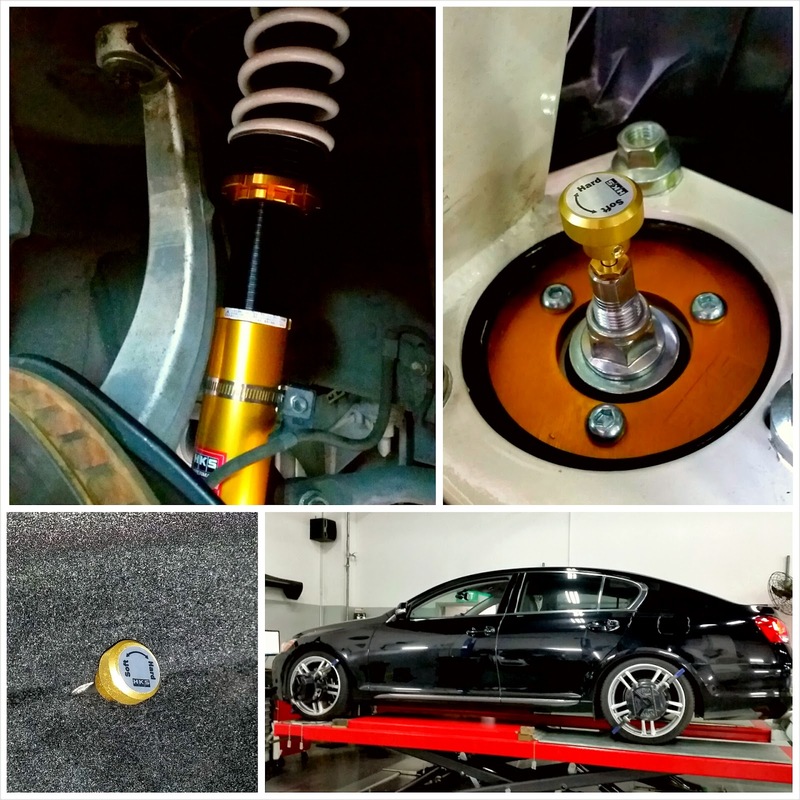 On the maintenance side of the house, the HKS Hipermax is fully supported from overhaul to modification from the local HKS Technical Factory (Fong Mui Garage R Singapore) and that was one of the factors of my consideration. I'm done having dealers tell me that I have to replace an entire set of coil-overs because of some 'squeaking' sound or leaks. On a serious note, if you want something really firm and track worthy then go for the Hipermax IV SP or KWs. I hear KWs make excellent coil-overs but there wasn't one for my GS. But if your aim is to maximize street performance without compromising comfort, this may be your best bet. 100% Japanese made in-house at the HKS Factory in Fujinomiya, Shizuoka, quality is top notch and with the weak Japanese Yen, my investment of about S$2,700 (at time of purchase) was about the best deal for a quality product.